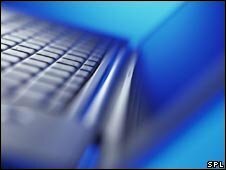 A laptop computer containing personal details of 385 former directors of insolvent companies has been stolen, the Insolvency Service has said. It has written to those it believes may have been affected by the theft of equipment from its Manchester offices. One of four laptops stolen from the government agency contained information on the directors from 122 firms. This loss is the latest in a long line of cases where confidential information has been lost or stolen. Greater Manchester Police are investigating the burglary, which happened on 28 August. Those affected by the theft include former company directors, insolvency practitioners and people who were named in documents, including creditors, complainants, investors and employees. The Insolvency Service said 385 ex-company directors had been affected and also about 150 people with a connection to the firms. Information on the company directors included name, address, date of birth and occupation. No bank account details were held. In relation to the creditors, complainants and employees, the data included name, address, and bank account details in a small number of cases. A spokeswoman for the Insolvency Service, which investigates corporate failures to see if particular company directors were at fault, said none of the insolvent companies concerned was a "household name". She said most of them were "small and medium-sized companies". Several dedicated telephone helplines have been set up and anyone who has concerns should go to the Insolvency Service website to find the appropriate contact number. A statement from the Insolvency Service said: "The information consisted of documents sent to the Insolvency Service by insolvency practitioners who act as administrators, receivers or liquidators of insolvent companies. "The documents, which are required to be sent by law, included information about the activities of company directors which the insolvency practitioner considers may give cause for concern." Earlier this month, the government confirmed that a portable computer hard drive holding details of up to 5,000 justice system employees had been lost in July 2007. In August, Home Office contractor PA Consulting admitted losing a computer memory stick containing information on all 84,000 prisoners in England and Wales. And in June, a senior intelligence officer from the Cabinet Office was suspended after documents were left on the seat of a commuter train from London Waterloo. The seven-page file, classified as "UK Top Secret", contained a report entitled "Al-Qaeda Vulnerabilities" and an assessment of the state of Iraq's security forces. A passenger later handed the file to the BBC.